Elizabeth Darcy. . HD Wallpaper and background images in the Pride and Prejudice club tagged: elizabeth bennet lizzie bennet pride and prejudice keira knightley. 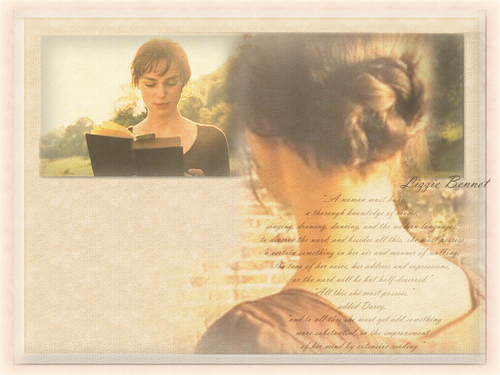 This Pride and Prejudice wallpaper might contain سائن ان کریں, پوسٹر, متن, چاکبورڈ, نشانی, تختۂ چاک, پورٹریٹ, آرچر, closeup, تصویر, and ہیڈشوٹ. Is it you who made this?